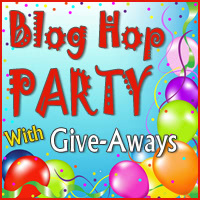 Our Giving Thanks Blog Hop Party has begun! Please share the linky love by adding the banner to your blog now. The more bloggers participating, the more fun for everyone. The code appearing beside the image can be copied and pasted directly into your web site. Tip: In some browsers, if you click three times with your mouse inside the code block, the entire block will be selected at once for you to copy. If you have a Blogger/Blogspot blog, please see How to Add a Logo to Blogger/Blogspot for instructions. For help with WordPress.com sites, see this tutorial on text widgets and for TypePad blogs, see this tutorial.